Amarilla was no stranger to tragedy. She had lost her mother when she was a little baby. Her son George Alexander died from an overdose of medicine at about 18 months old. 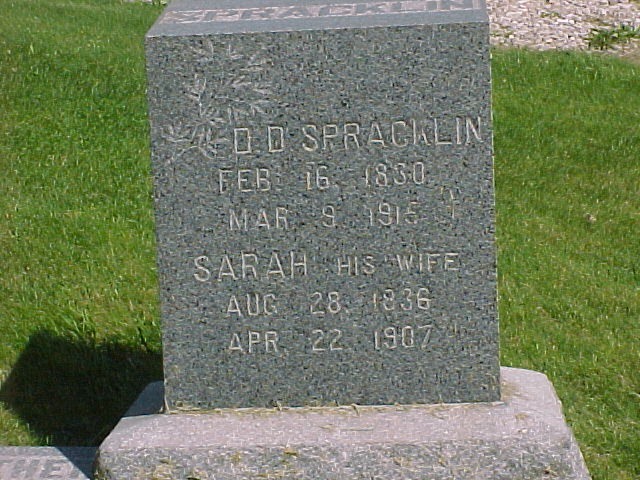 Her full brother Henry, the only other child that survived from the first family of Daniel Spracklin, was killed in a tragic accident in 1893 in Davenport, Iowa. Her half-brother Alfred died in 1899. George Angus Barclay, her husband, was shot and murdered in their hotel in October of 1898. These were all terrible and must have taken their toll on great-grandmother, but the death of her daughter Grace must have been the worst. Amarilla lost her only daughter and child on December 25, 1911. Grace died at the hospital in International Falls. She had given birth to a premature baby they named Grace Elizabeth and then succumbed to pneumonia. She is buried in the McDonald family plot in the St. Thomas Cemetery along with Archibald and Mary McDonell, the parents of Ronald, Grave’s husband. Grace is the writers grandmother. Grace’s story is featured in the blog: The Man Who Lived Airplanes, see right side panel for link. Amarilla is blessed with a second grandson in 1910! 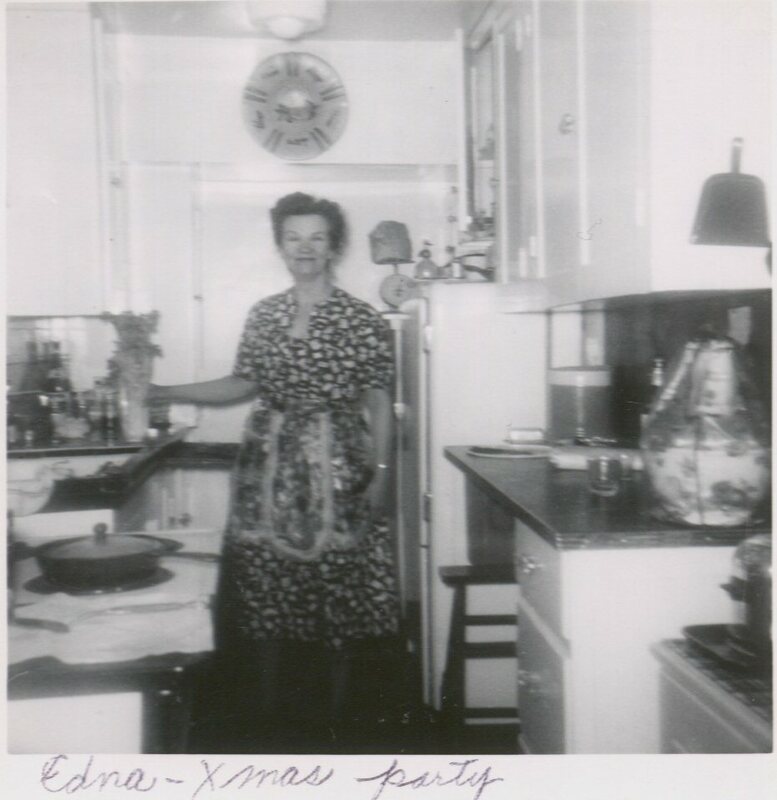 In the year 1910, Amarilla Dawes was doing well, on her own, and gifted with another grandson by the name of Keith. Keith Barclay John McDonald was born 13 March, 1910 in International Falls, Minnesota to Ronald S. McDonald and Grace A. Barclay McDonald. His grandparents were George Barclay and Amarilla Spracklin, so that was his middle name. The “John” was his baptismal name. You will find more information about Keith at the blog: The Man Who Lived Airplanes, where I share about his ancestors and their origins. See the link on the right side of this blog under BJ’s Family History blogs. He would graduate from Gonzaga High School in 1929 in Spokane and enter the military during the 1930’s. He would attend airplane mechanics school at Chanute Field in Illinois and later became an inspector of airplanes for the U.S. Air Force at Boeing in Seattle. He knew how to repair airplane engines, automobiles engines, and boat engines. He was an expert engine mechanic. He was also an inventor. He built several campers of his own design which were like forerunners of the tent trailers only he used aluminum. He built his own boat and put hydroplanes on it. He obtained a patent for his fishing oar design. He was very curious and loved anything that had an airplane engine in it including hydroplane racing boats. He married in 1941 to Marjorie Boardman and they have descendants living today, including the writer of this blog. 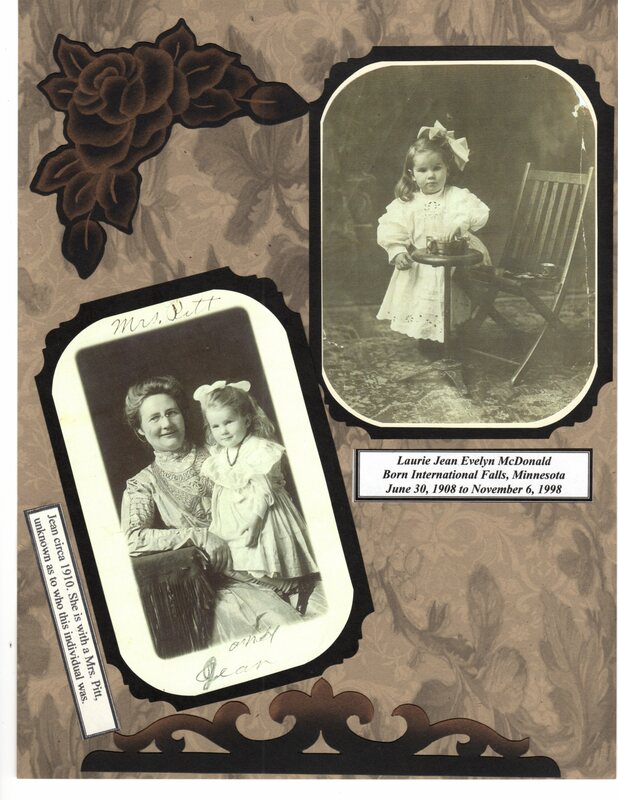 In 1908, Grace gives birth to another child and names her Laurie Jean. She was best known as Jean. 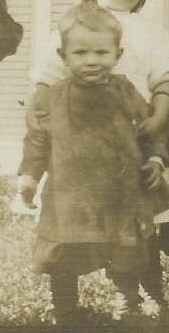 Laurie Jean was born June 30, 1908 in International Falls. 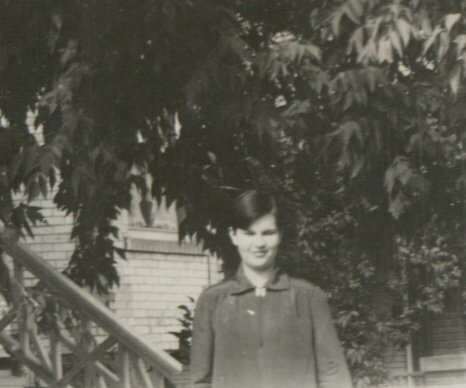 Here Jean is a little girl, the earliest photos of her that I have. Jean would go on to become a sixth grade teacher. She would meet Roscoe Davis in Idaho and later move to Selah, Washington. Roscoe was a finish carpenter and had a wonderful shop out back of their house. He liked to hunt, fish, go boating and camping so they spent a lot of their time doing these outdoor activities and also visiting their grandchildren. 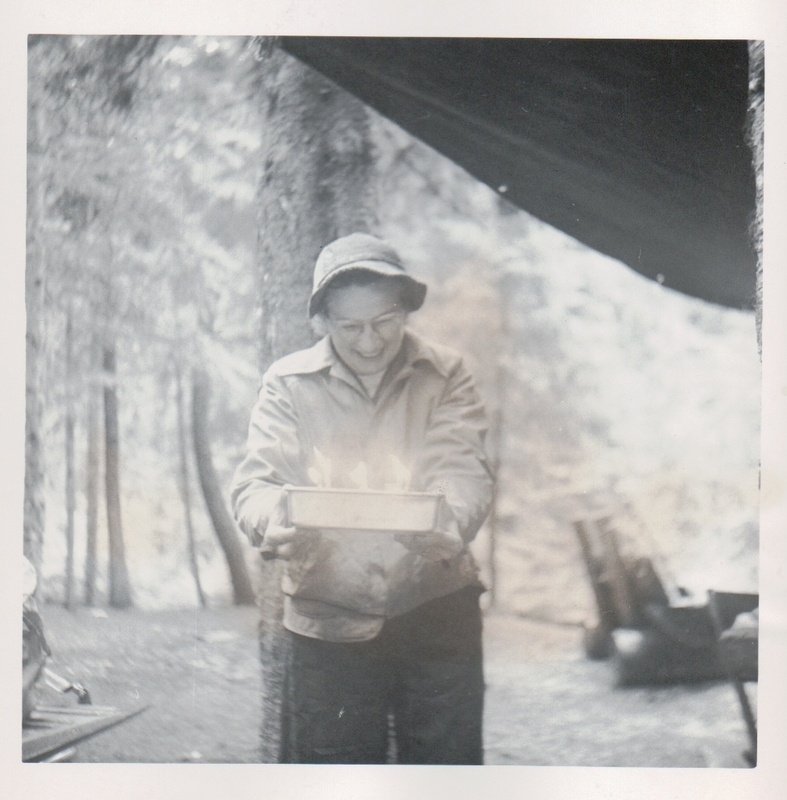 In the photo below Jean is celebrating a birthday in style out in the woods with a handmade cake from one of her sisters. Grace was pregnant with Miriam at the time of her uncle Alexander’s death. Giving birth in January of 1906. 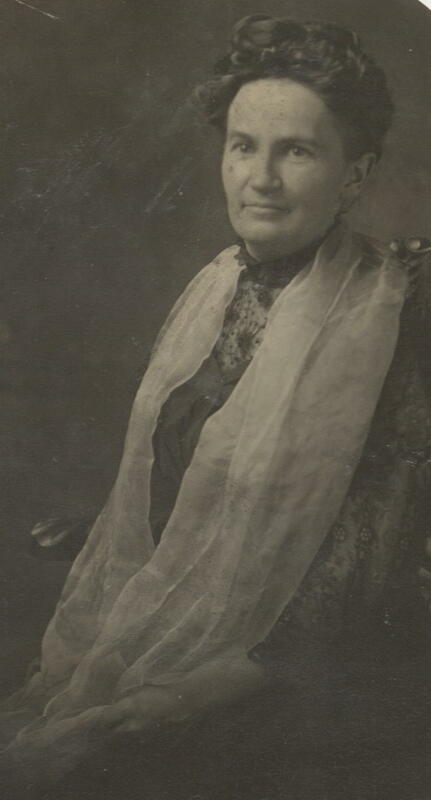 She took action and petitioned the court for the administration of Alexander Barclay’s estate about January 11, 1906. Alexander did not have a will. “My name is Charles W. Stanton. I am the Attorney-in-Fact for Grace A. McDonald, the same person who made the petition for letters of administration shown me in this matter. The other instrument shown me is my Power of Attorney executed by Grace. A. McDonald. She was unable to appear at this hearing on account of delicate health. 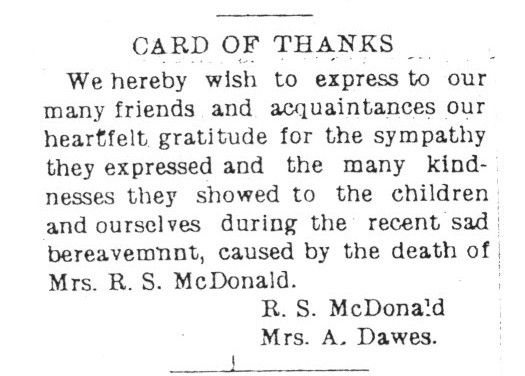 On or about February 1st Mrs. McDonald gave birth to a child and has not as yet, regained sufficient strength to warrant a journey from International Falls to Hastings. The distance according to the present means of travel, being over 700 miles. I am a resident of the Village of International Falls, Itasca County, Minnesota. I am well acquainted with Grace A. McDonald, wife of Ronald S. McDonald. She is also a resident of the Village of International Falls, Itasca County, Minnesota. I have known her since about the year 1890. I also became acquainted with George A. Barclay, the father of said Grace A. McDonald about the year 1890. Grace is now about 25 or 26 years of age. I was, at that time, visiting in the Pine River, Cass County, this State and have visited there since then many times, at the home of George A. Barclay and his family. I know from my own knowledge of the family and from information received relative to said family that Grace A. McDonald was a daughter and the only child of George A. McDonald. George A. Barclay was shot at Pine River, Cass County, Minnesota some few years ago, and was survived by his wife and daughter, Grace A. Barclay, (who has since been married to said Ronald S. McDonald). Mrs. Barclay, the widow of said George A. Barclay, has since inter-married with a certain man, and is now Mrs. Daws. I never heard any mention of their being any other children in their family. I have never seen any family record of their family, do not know that they kept any such record. I do not know where Mrs. McDonald was born, although she may have told me. I do not recall now. I know that said George A. Barclay is dead of my own personal knowledge and know that he was killed, as before stated. He left some estate both real and personal. I believe the personal property was divided amicably between his wife and daughter after his death. I did not know that there was such a person as Alexander A. Barclay prior to the death of George A. Barclay. I have heard Mrs. McDonald speak of him since. She also told me of the interest he took in the trial of the alleged murder of Mr. George A. Barclay. She said the deceased assisted them financially many times during the lifetime of her father and has also assisted her mother since his death by loaning her money. 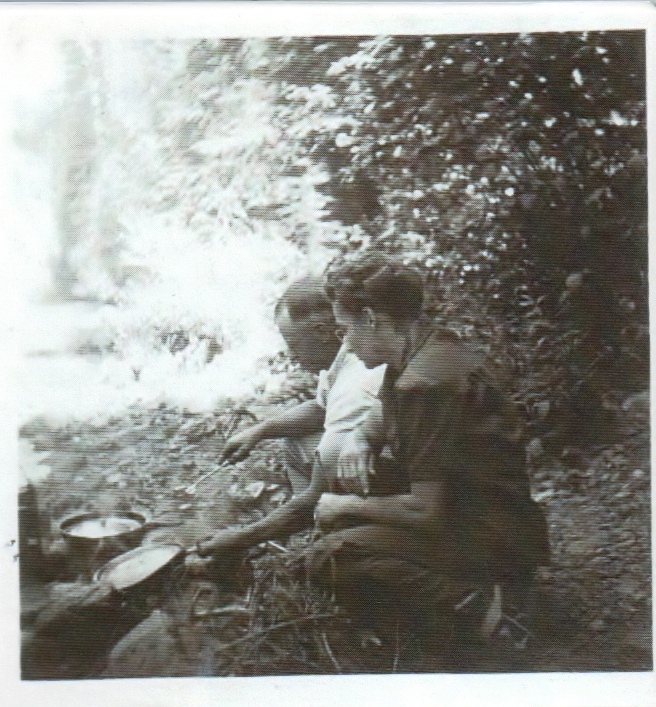 Mrs. McDonald visited Mr. Alexander A. Barclay, during his lifetime, while she was attending school in St. Paul or Minneapolis. He (the deceased), visited them many times also, particularly during the trial and investigation of the murder of George A. Barclay. Of my own personal knowledge, I do not know that the loans of Mr. Alexander Barclay to Mr. George A. Barclay were paid, or whether they were not, but have been informed by Mr. W. A. Gray of Farmington, Minnesota that they were paid in full. 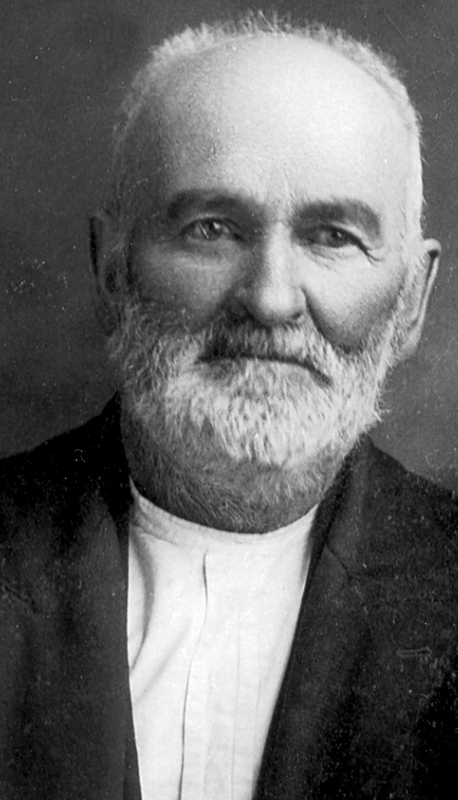 Mr. Gray knew all about the affairs and business connections or transactions of Alexander A. Barclay, with the exception of some mining stock owed by the deceased. Dr. Rogers of Farmington, knew and was well acquainted with the deceased prior to his death and knew all about the mining stock owned by the deceased at the time of his death, knows what companies they are invested in and also knows the amount invested by the deceased, which was, I believe $2300.00. I made inquiries of both these men and think they can give and gave all of the necessary information relative to the estate of Alexander A. Barclay, deceased, that was in their possession. When I went to Farmington, which was on the 10th day of January, this year, I was not acquainted with anyone, but had a letter of introduction to Mr. George R. Taylor, who is Cashier in the Bank at Farmington. He told me what he knew of the deceased’s financial and referred me to Mr. Gray and Dr. Rogers, from whom I obtained the information stated in the petition for letters that I made as attorney in fact for Grace A. McDonald, in this matter. From information obtained from Mr. Gray by me, I believe the value of the personal property is about $2000. and consisted of a mortgage of $1400; a chattel mortgage on a Blacksmith shop at Farmington, for $300 an another note executed by a party at Pine River for $100, on all of which there is probably some accumulated interest. There was a check in the Bank of $50., some personal effects, etc., aggregating in all, about $2000. The present value of the mining stock for investments, I know nothing about a personally, but was informed they are unlisted stock and in my opinion, not worth very much, perhaps about $1000. I visited the real property owned by the deceased at Farmington, which consists of a house and lot, worth probably $800.00. The Lakeville farm, I did not see, but it consists of 105 acres of agricultural land, and taking into consideration the answers to inquiries I made about it, it is worth between $4000. and $5000. I know of no other real property owned by the deceased at the time of death. George A. Barclay was engaged in Hotel business at Pine River, also the delivery and stable business at one time, but I have never heard anything about the deceased having any interest or partnership in any of the aforesaid business of said George A. Barclay, although he loaned him money at different times, according to Grace A. McDonald. I know nothing about the other heirs of the deceased, although I have heard Mrs. McDonald speak of them perhaps. I do not recall anything to the affect now. This testimony of Mr. Stanton is probably the best piece of information I could have found. I now feel confident that my research on the Barclay’s is true and good. I wonder what other stories Mr. Stanton or the others may have had to share. Sigh! Apparently there were other reasons for delay and Dr. H.J. Rogers was not appointed administrator till about March 13, 1906. The bond was $5,000. “I reside at Farmington, Dakota County, Minnesota. I knew and was well acquainted with Alexander A. Barclay, prior to his death. I know the real property he owned at Lakeville and Farmington. The property in Lakeville consisted of a farm of 105 acres of agricultural land and that at Farmington of house and lot. I knew something of his financial affairs and his personal property to the best of my knowledge, consisted of something like $1800. In notes, most of which are secured and $50. in certificate of deposit & $1000 shares of mining stock. I know that Mr. Barclay paid for the mining stock and I am familiar with the kind of stock. I would not attempt to place a value on this stock, as it is all unlisted stock but will give the Companies and the most of the stock of Mr. Barclay. In addition to the above the deceased had some “Shamrock” shares…I know of no other personal property belonging to the deceased, except two old trunks, containing cloths, which are of no particular value. There may be papers of value in those trunks. The farm implements and farm property owned by deceased, were disposed of sometime prior to his death. The house and lot at Farmington is worth about $800.00. His farm is valued at about $50 an acre. My knowledge of the heirs of the deceased was obtained from him, and through correspondence with his heirs before and since his death. I have no personal acquaintance with but two of the deceased heirs, viz: Charles Barclay at Shakopee, Minnesota, and Grace A. McDonald at International Falls, Minnesota. Grace A. McDonald is the only child of George A. Barclay, who was killed a few years ago at Pine River, Minnesota, and who was a brother of Alexander A. Barclay’s. I am not acquainted with the other heirs of the deceased named in the petition, but from what I have learned believe, that John A. Barclay named in the petition died prior to the death of the deceased, and that John A. Barclay left surviving him two children, who were his only heirs, viz: Sarah Ellen Sears and John Avery Barclay. I believe John A. Barclay had no other children, except Sarah Ellen and John Avery. You never know what you will find in a probate file. In this case, I had copies of the packet which I paid a high price for. I did not have the court clerk books which might shed light on the process of the probate court.